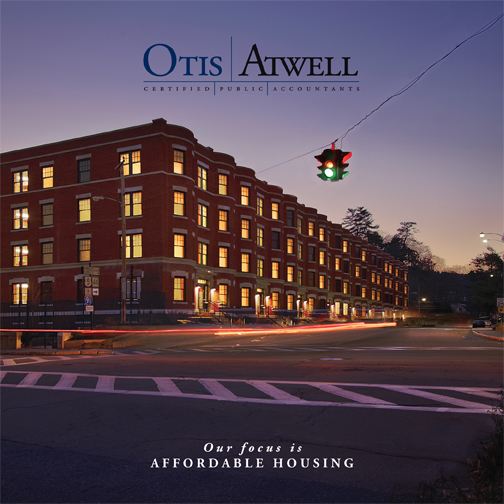 Otis|Atwell, a certified public accounting firm serving businesses and individuals throughout New England, wanted a communication tool that captured the essence of its brand. We worked with Otis|Atwell to create a brochure centering on the firm’s key attributes: responsiveness, experience and trust. The new communication piece reflected the firm so well that Otis|Atwell asked us to apply a similar look and feel to their website. We made the firm’s key attributes the highlight of our re-design, placing them front and center on the home page. We gave the site a clean, progressive look and modified existing content to reflect the messaging of the brochure. The new brochure and site re-design provide a unified communication platform and brand positioning that’s as strong and specialized as Otis|Atwell itself.